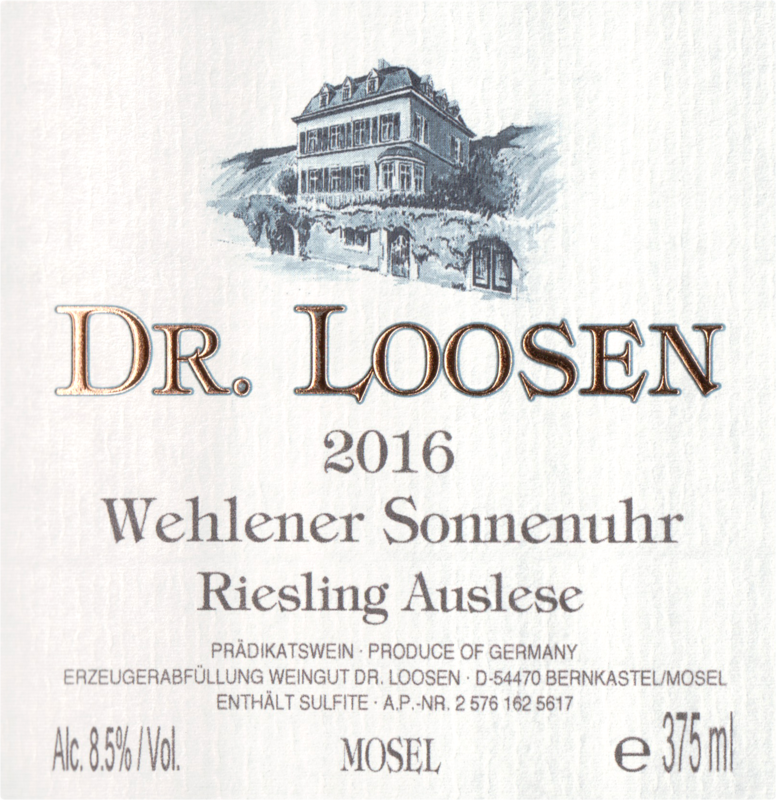 Auslese [OWS-lay-zuh] means “selected from the harvest,” and is a luscious, limitedproduction sweet wine made from very ripe clusters that are about 50 percent affected by botrytis. The botrytis mold, (aka “Noble Rot”) draws moisture from the grapes, dehydrating them and concentrating the juice. 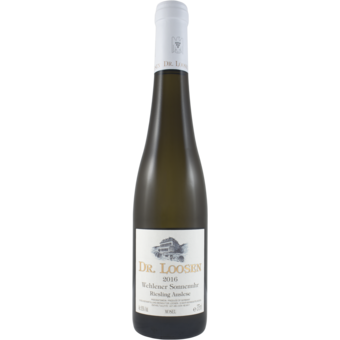 The resulting wine is dense, intensely flavored and rich on the palate, but even at the Auslese level, the Wehlener Sonnenuhr vineyard retains the elegant structure that is characteristic of this great site.